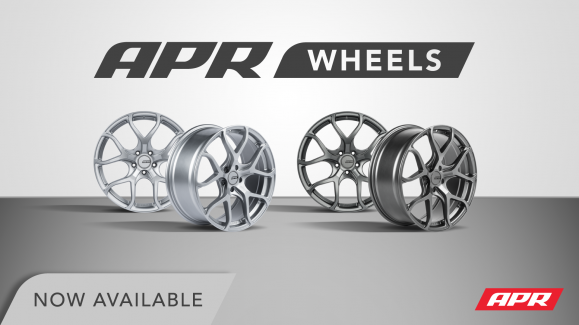 The APR A01 Flow Formed Wheels are manufactured using the latest strengthening and weight savings techniques to provide an attractive solution ready for the street and track. This race inspired wheel design features a curved 5-spoke Y design with a deep outer rim inlay, and weight saving spoke pockets. The A01 is the perfect wheel for anyone who values performance, style and strength at an affordable price. Available now in Hyper Silver and Gunmetal Grey!